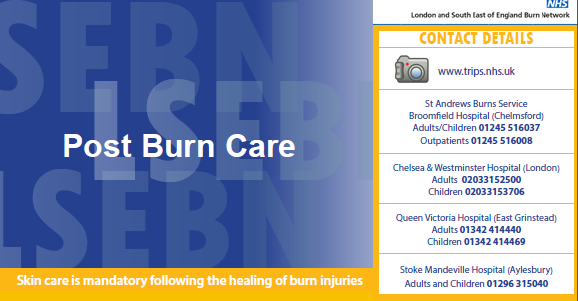 Read the Post-Burn Care Guidelines from the LSEBN (London and South East of England Burn Network), which gives advice on skin care following a burn. Topics: scarring and contracture, scar massage, sun exposure, washing, itching, blisters and cysts. Oedema is a build up of fluid in the body which causes the affected tissue to become swollen. 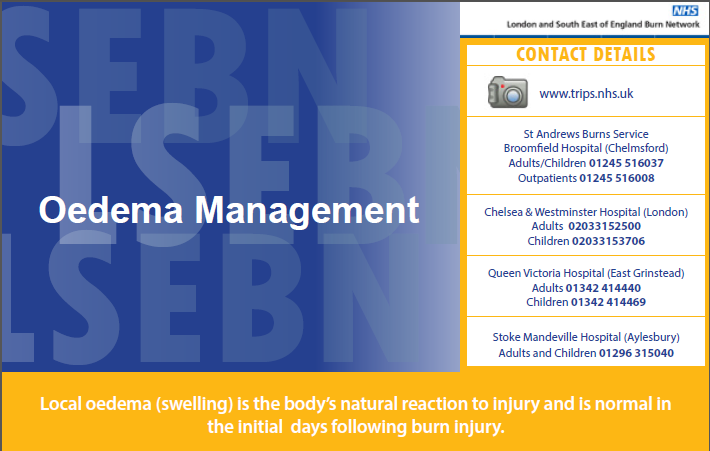 Read the latest Oedema management guideline from the London and Southeast of England Burn Network (LSEBN).